Is a cleaning procedure to remove plaque build-up, calculus, stains, to prevent gingivitis and provide good oral health. It can be done by a dentist or a dental hygienist with special ultrasonic scalers. Oral prophylaxis is both a preventive measure and a treatment procedure. 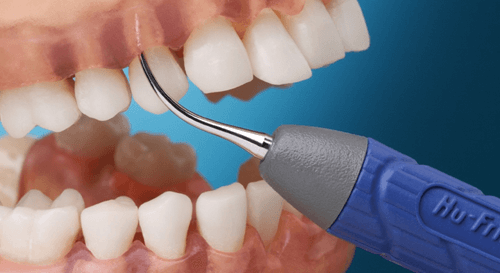 It involves the complete cleaning of teeth, in order to remove all the remains from foods, plaque, tartar, dead cells, and more. Even if you brush your teeth twice a day and floss, the chances are there will still be something left on the teeth. Those remains can easily cause gingivitis. If the gingivitis is not treated on time, it can turn to periodontal disease. That is why dentists recommend and perform oral prophylaxis. Plaque and tartar can be located both above and below the gumline. 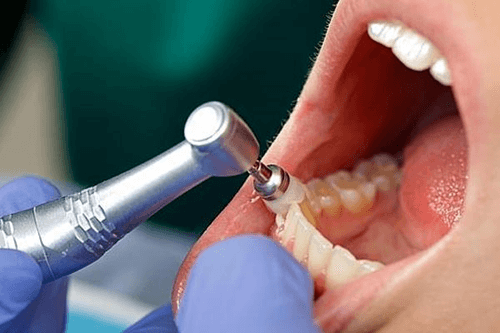 Patients can’t reach below the gumline, so that is when they get a professional cleaning. The remaining plaque and tartar cause inflammation of the soft tissue. Patients can get oral prophylaxis for several reasons. The first one is to remove plaque and calculus as mentioned before. Unfortunately, gingivitis and periodontal disease are more common these days. With regular visits to the dentist and proper oral hygiene, people have a great smile and healthy teeth. But it can happen to anyone to have inflamed gums. Patients who already suffer from the periodontal disease have to get the gum pockets cleaned professionally. Thanks to oral prophylaxis you can forget about bad breath. Halitosis often comes from the bacteria that live in the periodontal pockets. Once everything is clean you will feel much better. Oral prophylaxis is also meant to remove stains. If you drink coffee every day or smoke often, the chances are your teeth might suffer some staining. This procedure is the best, easiest way to get rid of those stains. It doesn’t whiten the teeth. It’s painless, simple and takes a short time. It is recommended that patients schedule a prophylaxis twice a year. The ones that suffer from the periodontal disease have to visit the dentist more often. X-rays and a general oral exam are a part of this procedure. Oral prophylaxis includes several steps. It is a painless procedure, except for cases when the patient is suffering from a severe periodontal disease. It is usually a part of regular dental exams. The dentist will start with cleaning, both supra and subgingival. They use special ultrasonic instruments that completely remove the plaque and calculus. There are also special hand instruments if needed. Patients with periodontal disease have gum pockets, that have to be cleaned very thoroughly. Another step of the procedure is root planning. This means that the dentist is cleaning the surface of the root. There is also plaque tartar and bacteria there, so all of that has to be removed. This is one of the most important steps of the periodontal treatment. The dentist has to provide a clean surface so that the tissue can heal properly. After all of this is done, the dentist will place an antibiotic in the pocket. The periodontal disease is caused by bacteria, so the best way to eliminate them is with an antibiotic.